Herds of wild horses across North Carolina’s barrier islands had no choice but to ride out Hurricane Florence without any human assistance. But it’s their own intuition, not human intervention, that has and will keep them alive. “The horses are back out at their usual haunts,” Meg Puckett, the herd manager of the Corolla Wild Horse Fund, told local news reporters. As Florence swept through the North Carolina coastline, these horses faced down a dangerous natural disaster with high swells and wind gusts up to 100 mph. Despite the rough conditions, however, experts believe that the horses will be able to survive just like they have in storms past. It is believed that the horses settled in the Outer Banks hundreds of years ago, meaning that they have weathered their fair share of storms and are still able to survive. 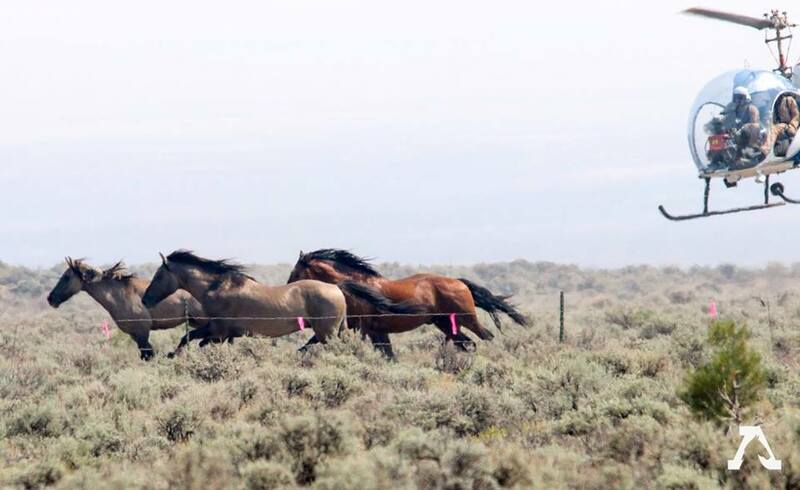 In an interview with CNN’s Brooke Baldwin, Puckett explained how the wild horses know where to seek shelter when storms hit, going into the forest for protection. “We’re already seeing them group up together. They go into the maritime forest, where they get under the cover of the live oak trees that protect them and go to the highest ground,” she said. Shackleford Banks, the southernmost barrier Island in Cape Lookout National Seashore, is home to more than 100 horses that will have to fight for survival until this hurricane passes. “These horses have been here centuries. They are probably better equipped to handle this kind of weather than anybody else on the Outer Banks right now,” she said. Puckett noted that the horses head to the interior of the island when any type of storm sweeps through, and nothing changes when a hurricane hits. There are even some people on the island who did not evacuate who will be on the lookout for the horses, according to Puckett. “Naturally, they are meant to be outside and they have high ground and they have thick places to hide. Don’t worry about them. They’ve survived for hundreds of years, and we expect that they’ll be just fine,” Sue Stuska, a wildlife biologist based at Cape Lookout National Seashore said, according to the Independent. Stuska added that the horses know to go to higher grounds when there is flooding, as well as finding a forest for seclusion when the winds get bad.